Oval White Skinned and Waxy Flesh. 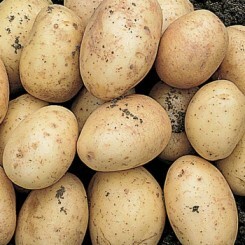 Carlingford potato seed have white skin and creamy coloured flesh with a firm waxy texture for salad use. A variety that lends itself well to being growing in patio growing bags and potato tubs as it produces a high number of round/oval tubers. It has a resistance to common scab and good resistance to skin spot. 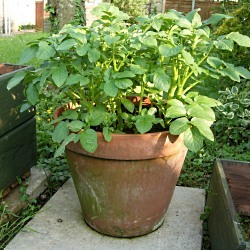 Carlingford is an original second cropper and is cool stored for late planting to give you the summer salad potato taste at Christmas time.